This article on Elizabeth I’s early life was written by Anne Boleyn Files Visitor Sarah Rochel who has a keen interest in Elizabeth I, and Anne Boleyn of course! Elizabeth Tudor was born on September 7th, 1533 at Greenwich Palace, London, in the Chamber of the Virgins – an interesting location, considering this tiny baby was eventually to become the great ‘Virgin Queen’ of history. She was the daughter of King Henry VIII of England and his second wife Anne Boleyn. The time of birth was most likely around 3pm. She was baptized at the Church of the Grey Friars at Greenwich and her godfather was Archbishop Cranmer. Elizabeth’s early life and childhood were greatly controlled by the various political changes and intrigues surrounding the court of her father. During the uprising called the Pilgrimage of Grace, for instance, in 1536, we find her at the court at Windsor Castle, and she was regarded kindly by her father at the time. Elizabeth, however, was eventually declared illegitimate following the fall from favour and tragic execution of Anne her mother – also in 1536 – and by the Second Act of Succession, passed by parliament shortly afterwards. She remembered little about her mother, being less than 3 years old at the time of her death. Elizabeth was intelligent and clever and was extremely well educated, becoming fluent in several languages – the classics and modern languages such as French and Italian. Her tutors included the prominent Cambridge humanist scholars Roger Ascham and John Checke – also tutors to the young king Edward – and most regularly by William Grindal. She also excelled at music, and was accomplished in mathematics and astronomy/astrology. She did not live at court always, but stayed at houses such as Hatfield, Cheshunt or Ashridge, and also with Catherine Parr at her home in Chelsea after the death of king Henry in 1547. During these years she build up a loyal and steadfast group of servants who were to become life-long friends and confidantes, including her governess Kat Ashley and those from the Tudor homeland of Wales – such as the Parry’s. As a young woman approaching marriageable age, Elizabeth became embroiled in a scandal with the then Lord Admiral and uncle to the young King Edward, Thomas Seymour – who was shortly after executed for treason. Elizabeth was detained and closely examined at this time, with some of her servants arrested and sent to the Tower, and she was herself in some very real danger also of being accused of treason (attempting marriage without the consent of the King). 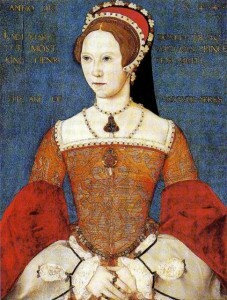 Mary Tudor, Elizabeth’s half-sister, became Queen in 1553 after a brief struggle against the puppet Queen Jane Grey (www.squidoo.com/jane-grey) set up by John Dudley after the death of Edward. Initially, the two sisters got on well. But again, politics intervened for Elizabeth. She was implicated in treason and imprisoned in the Tower and later extended periods of house arrest following Wyatt’s rebellion in 1554 and, again, came very close to losing her life. It was during these difficult years that she first met and established relationships with some of the most important men in her life – including William Cecil, Robert Dudley and John Dee. Elizabeth was detained again in 1555 accused of being privy to an attempt to ‘enchant the queen’s majesty’ through the use of astrological divination and magic. Upon Mary’s death in 1558 Elizabeth succeeded to the throne and was crowned at Westminster Abbey in January 1559 amid much rejoicing. The rest, as they say, is history. Elizabeth’s long reign is rightly celebrated as the ‘golden age’ of English culture – the age of exploration, of scientific development, religious tolerance (at least at the start). Her famous statement of not wishing to put windows into men’s souls’ set the tone of liberty and freedom of consciousness. In the decades of peace and prosperity that followed the pursuit of excellence in literature, drama and architecture became possible. See: www.squidoo.com/elizabeth. Shakespeare, Raleigh and Drake are as much a product of Elizabethan England as the colonisation of the Americas and the defeat of the Spanish Armada. 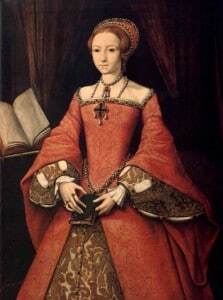 The only living child of Anne Boleyn fulfilled the promise of her birth and became her rightful successor. I wish she had children, who knows they could of been like her and kept the blood line going!